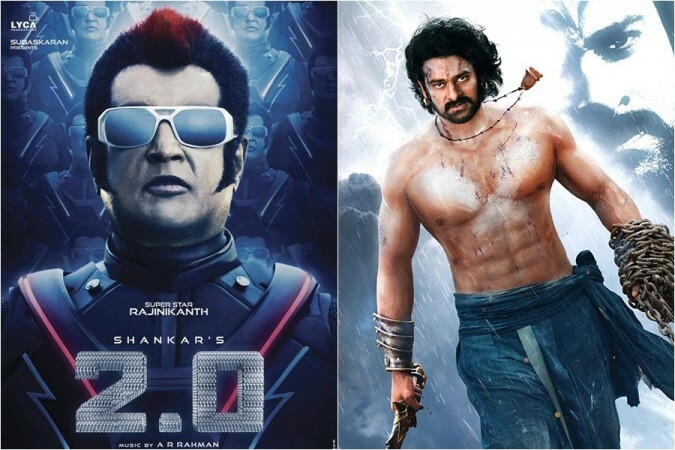 Rajinikanth's 2.0 is inching closer to beat a box office record of SS Rajamouli's magnum opus Baahubali 2. Rajinikanth's 2.0 has done well at the Chennai box office on its ninth day (day 9). In spite of a few new releases in Kollywood, the Shankar-directorial made better collection than the other movies. Now, the mega-budget movie is getting ready to shatter a record of SS Rajamouli's magnum opus Baahubali 2. 2.0 has narrowly missed to hit a crore mark as the film earned Rs 98 lakh on its 9th day at the Chennai box office. It saw a minor jump in its collection on Friday compared to Thursday where it made a collection of Rs 95 lakh. The total business of the movie now stands at Rs 15.57 crore in the capital city of Tamil Nadu.